Colmar There are 12 products. 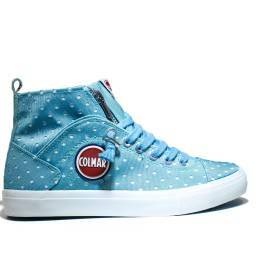 This brand is specialized to realize sneakers woman, born in Monza in 1923, the name of this brand comes from the founder Mario Colombo, initially produce just felt hats but time by time start to produce dresses for work. But enthusiast with the winter sport, he decide to transform his overalls in ski suit, spreading to the public in 1952 trough the olympic event of Oslo Colmar offer innovative jacket, aerodynamic in nylon, had great achivement. Since before, now Colmar is considered one of the best, for the beach: with swimsuit for summer, and colmar shoes are the top for every woman. After some evolution had success, and start to produce collection to complete your outfit of dresses, create a true style "Total Look". 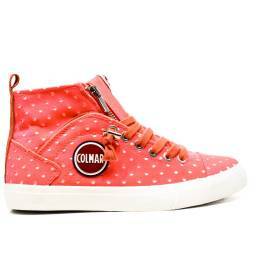 Colmar Originals aims with a line urban-lifestyle, trendy, and for sport. This brand is so inspiring to create collection based on trend and creativity. Young lines, the quality, full of grit and character, this brand is really appreciate always more for the ladies and men during years about the clothing, jackets, etc..
On our store you can discover a lot of offers, like Desigual bags and shoes, just with a simple click at your home! Amazing products like Jackets clean lines, colored, light, comfortable on the foot, on Young Shoes you find all the colection Winter / Fall - Spring / Summer, of Colmar Shoe! Certainly of quality but at the same time fashion! 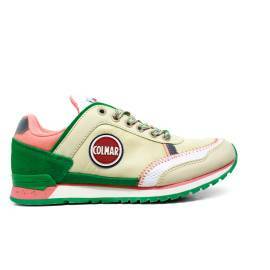 Buy online on our store the Shoes Colmar. Get the best outfit of ever, with shoes and accessories woman Colmar! Discover the right outfit for every occasion! The multicolor Sneakers, a perfect solution for any outfit from city, a nice winter to discover, for an output with the friends, an aperitif, a tour in the center of your city or a simple bike ride. Discover the best outfit for you! 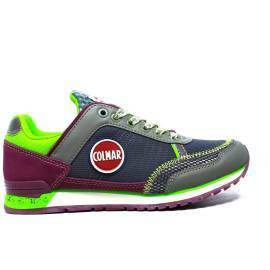 The sneakers multicolor, with Colmar you can get the best solution for anything, for go out with friends, an aperitive, a tour in center or a simply ride in bicycle. On YoungShoes you can find the most beautiful sports shoes from discounted woman! You are going to leave and to renew all of your shoes? But above all you will need to wear comfortable shoes and resistant to travel safely? Then you must bring with you of sports shoes in holiday are necessary to make sport, to walk, to feel comfortable or for retreating as you must during the sudden thunderstorms. In particular, sports shoes in holiday are necessary to match the look is casual, clothing style with practical and informal which presents itself as the ideal to ensure maximum comfort. Then, nothing effort to find the right shoes to your taste, and from home you can order with a simple click!